TME's offer includes RJ45 industrial connectors by HARTING. Their main advantage is installation without need for specialised tools. This significantly speeds up installations and lowers their costs. 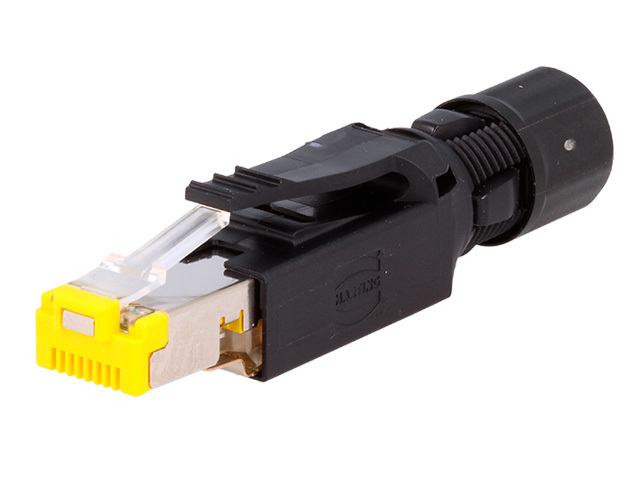 The RJ45 connectors are available in 4-pin (ProfiNet) and 8-pin (10G) variants. There are also two cable versions available: straight and angled at 45°.